As a precious gemstone, sapphire has some amazing properties and a rich history. It is also the birthstone of September - a month of change where summer meets autumn and the wooly jumpers come out! In this blog post we delve into everything sapphire. This includes formation, physical properties and meta-physical properties as well as, of course, some jewellery making inspiration. Colour: Blue in various hues, colourless, pink, orange, yellow, green, purple and black. Rarity: Some colours of the stone are rare - others are easily obtained as uncut stones. Sourced: Czech Republic, Thailand, Brazil, Kenya, India, Australia, Sri Lanka. The name sapphire is Greek for Blue. Before the properties of the stone were discovered in the middle ages, the name sapphire was applied to various blue stones such as what is now called Lapis Lazuli. Around the 1800s it was recognised that Sapphire and Ruby are gem varieties of the same mineral - Corundum. Corundum is a rock forming mineral which is the hardest after diamond. Pure corundum is colourless, however the colours that are found in both ruby and sapphire are are caused by small amounts of chemical impurities. The rich red of ruby is caused by Chromium, whilst sapphire is the name given to all other colours of corundum which is caused by iron and titanium. 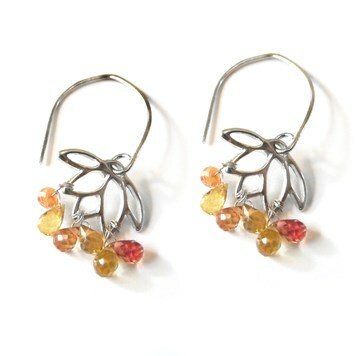 These colours includes blues, yellows, pinks, greens and more. 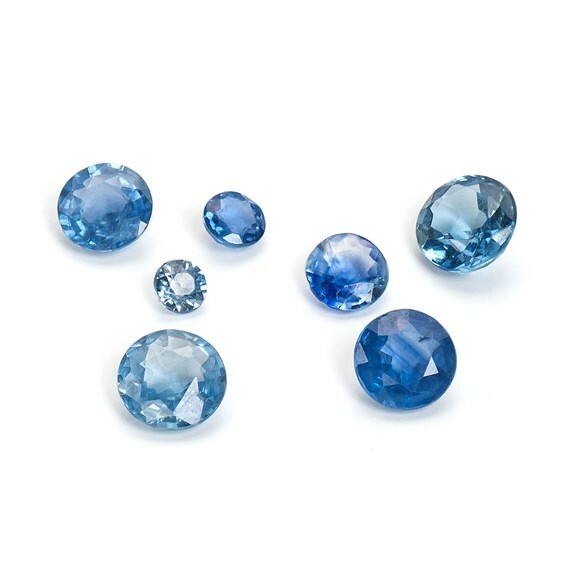 Sapphire is more commonly associated with the colour blue. Before the various variety of colours were given the name Sapphire they were given misleading names, such as "oriental topaz" and "oriental peridot". The main sapphire bearing rocks are marble, basalt or pegmatite. The most desired sapphires used to come from Kashmir, India, where the deposits were situated at a height of 16,500 ft in the Zaskar region. It is said the sapphires were of deep cornflower blue with a silky sheen. Sapphire is known as the wisdom stone, each colour having it's own particular wisdom. It is said to focus the mind, releasing unwanted thoughts and creating a calm effect. Sapphire is said to bring peace of mind and serenity by aligning physical, mental and spiritual planes to restore balance within the body. Blue Sapphire: A seeker of truth and traditionally associated with love and purity. Said to facilitate self expression and speaking the truth. Black Sapphire: Protective and imparts confidence in one's own intuition. This stone is said to help retain a job. Green Sapphire: Said to aid dream recall and stimulate loyalty and integrity. Yellow Sapphire: Attracts wealth and helps to increase prosperity and earnings. Sapphire is thought to calm an overactive body system and regulate the gland. It is also thought to help heal the eyes and improve vision. 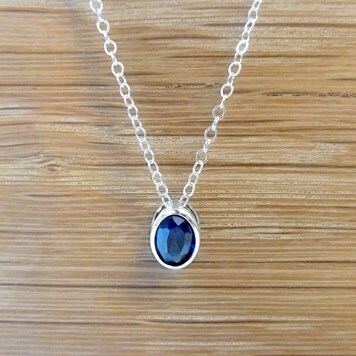 Sapphire is also said to treat blood disorders and alleviate excessive bleeding, strengthen veins and their elasticity. As a precious stone sapphire makes any piece of jewellery high value . 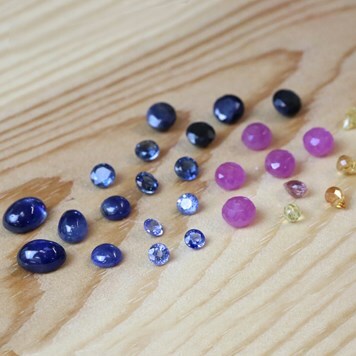 With a range of sapphire stones in stock including both faceted and cabochons as well as substitutes for sapphire at a lower price tag (but without the hardness), we are always on the look out for inspirational jewellery designs using this amazing stone. 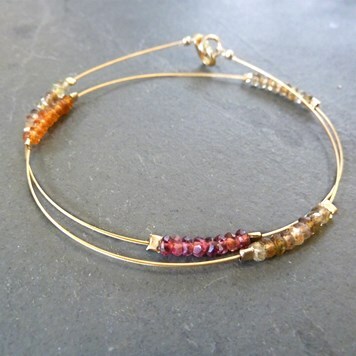 We have a number of jewellery making projects in our Make The Look category using sapphires and substitutes. These designs are all really easy to make and require little tools. Any one of these looks would make for a really thoughtful present for anyone with a birthday in September. Our Make The Look pages are our inspiring easy to re-create jewellery designs. We provide step by step instructions, as well as all of the items needed to complete the design listed in one neat shopping list!